SFA member Jack Scruggs reminded the editor of an interesting incident in our family line (Richard and Prudence Hicks Scruggs, Cliffside, N.C.). 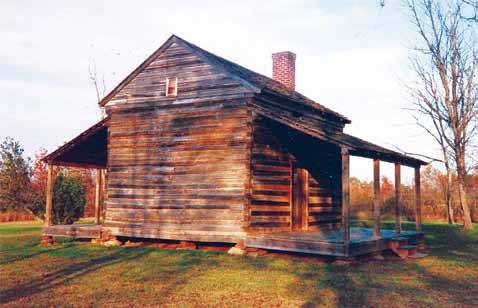 Our great-great grandfather, Drury Dobbins Scruggs, died on December 7, 1890 at his daughter’s house near Island Ford, N.C. Drury’s brother, Robert Scruggs died six hours later at his home on Cowpens Battlefield in S.C. Drury was 83 and Robert was 91. 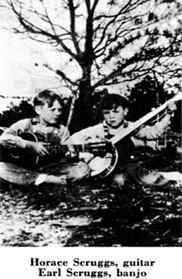 They were two of the three sons of Richard and Mary Dobbins Scruggs of Stateline, S.C. and grandsons of Richard and Prudence Hicks. As usual, the network offered only thirty minutes of national news on March 20, 2012, but there were two stories involving a Scruggs. The tribute to the “man who made the banjo famous,” Earl Scruggs, who had just died at 88, was followed by a story on the 30th anniversary of the Vietnam Wall that included an interview of its founder Jan Scruggs.